Hello Friends, are you looking for Trainee Jobs? If yes, then here is a good opportunity for you. 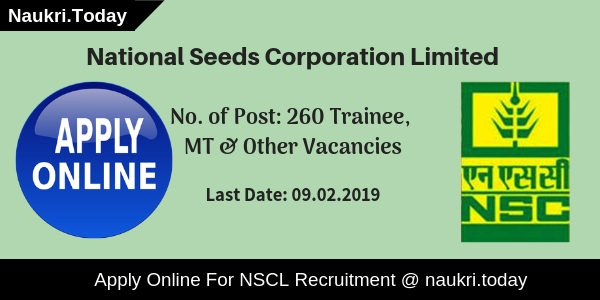 National Seeds Corporation Limited has issued notification for NSCL Recruitment 2019. NSCL Notification is available for 260 Trainee, Sr. Trainee, MT & Other Posts. Interested & Eligible candidates can apply through online mode. Participants can fill online application forms for NSCL Trainee Jobs from 19.01.2019. 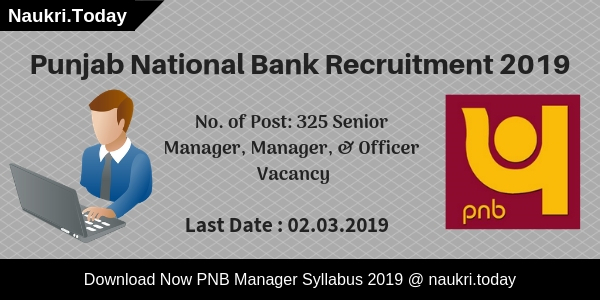 Online registration for National Seeds Corporation Vacancy 2019 will get close on 09.02.2019. For further more details applicants must read the given article carefully. Fresh Update as on 13.02.2019: Hello Friends, There is good news for candidates. The National Seeds Corporation Limited has extended last date of Online Registration. Now Applicants can register up to 16 February 2019. Here we provided you links to apply for NSCL Recruitment 2019. Fresh Update as on 09.02.2019: Hello Friends, The Online Registration for NSCL Recruitment 2019 is going to close on today (09.02.2019). Interested candidates must fill up their application form for NSCL Vacancy 2019 as soon as possible. Here we gave you complete details regarding eligibility criteria. Aspirants can apply online form links given here for Trainee & other Posts. Applicants who are going to fill online application form must check required education qualification from here. Participants must check age criteria for NSCL Recruitment 2019 before applying for Trainee Jobs. Candidate should fill application form very carefully if any mistake found their NSCL Application Form may get rejected by the department. Candidates who wish to apply online for NSCL Trainee Jobs 2019 can check required education qualification from here. Participants must have passed 12th Class for Trainee (Agriculture) Jobs. Additionally, applicants must have a Degree of Graduation/ Post Graduation & Diploma in relevant field for which they are applying. 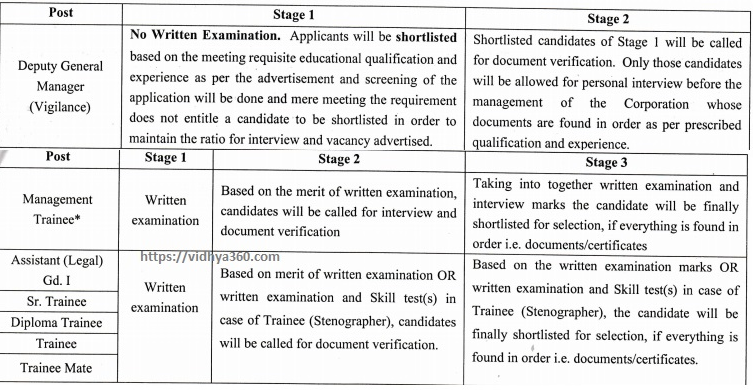 Aspirants who have filled NSCL Online Form for Trainee (Technician) Vacancies must have ITI Certificate to get eligible for National Seeds Corporation Recruitment 2019. For more details regarding education qualification participants must check NSCL Notification 2019 from the link given below. 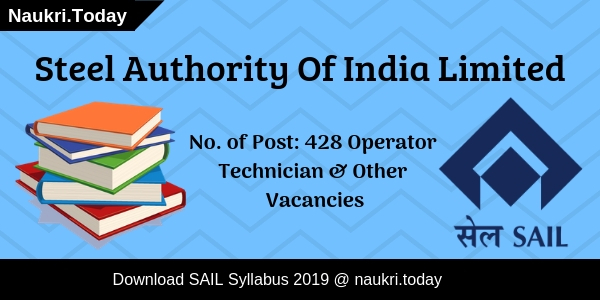 Participants can also download NSCL Recruitment Notification 2019 from the direct link given below. Here Maximum age required for NSCL Trainee Recruitment 2019 is given in below section. Maximum age may differ according to the post for which candidate is applying. Age will be considered as on 09.02.2019 by the NSCL Department. Here upper age relaxation scheme is also applicable by the department. For more details candidate must read National Seeds Corporation Recruitment Notification from the link given below. Department will conduct written examination for the candidates who have filled NSCL Online Forms 2019. Selection criteria consist of many stages i.e. written exam, document verification, skill test, interview. All the exams will be held according to the post for which participants had applied. NSCL Exam will be going to be organized on 03.03.2019. Applicants can get detailed information relevant to NSCL Recruitment Selection process from below section. Applicants who are going to fill an application form for NSCL Recruitment 2019 have to pay registration fee also. Candidates belonging to Unreserved Category/ OBC/ Ex-Servicemen need to pay Rs. 525/- as application fee. Participants who belong to Reserved Category/ SC/ ST/ PWD Candidates have to pay Rs.25/- as examination fee for NSCL Trainee Vacancy 2019. The application fee must be paid through Online mode. For further more details candidate must check NSCL Notification 2019 from the link given at the end of the article. Department will be going to pay a great salary to the deserving candidates. 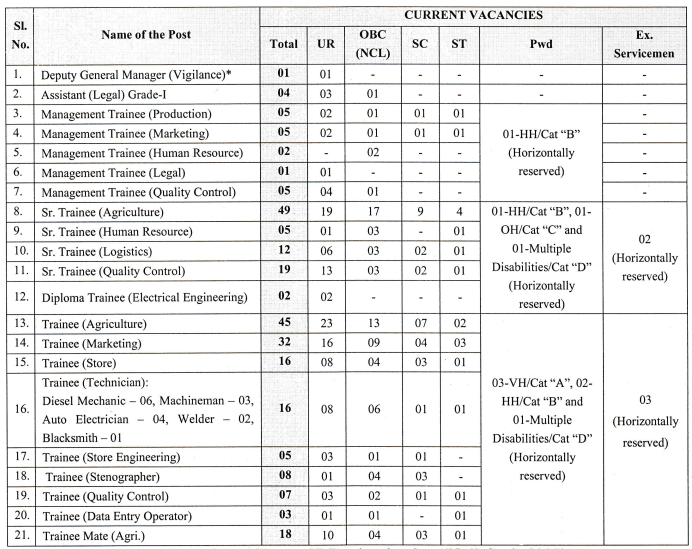 Salary details for NSCL Trainee Vacancy 2019 are given in below table. Candidate must fill online application form for NSCL Trainee Recruitment on or before 09.02.2019 till 05:00 PM. Here we are providing you with some simple steps to follow while filling NSCL Application Form 2019. Firstly, candidate should log in to the official website i.e. indiaseeds.com. Then go to the homepage & search for NSCL Notification 2019. Click on the notification link and read all the information carefully. Afterward, interested candidates must click on “Apply Online” Link. Fill all the personal details required in NSCL Recruitment Form. Then Upload recent passport size photo & signature in NSCL Application Form 2019. Recheck all the entries given by you in online form. After that, make payment of NSCL Application Fee through online mode. Participants can also take print out of application form for future reference. Conclusion: National Seeds Corporation Limited has published an advertisement for 260 Trainee, MT, Sr. Trainee & Other Jobs. Applicants can fill online application forms for NSCL Recruitment 2019. The last date to fill the online application form for NSCL Trainee Vacancy is 09.02.2019 (5:00 PM).